Corn on the cob, kicked up a notch with a flavorful cilantro lime butter. We've gotten quite a bit of corn lately, and I wanted a new way to eat it. (I know - me and my always wanting to try something newwwww.) I thought about what to do. As usual, my requirements were quick, easy, and tasty. Then, I thought back to the Garlic Parsley Butter. Since we're both fans of Mexican flavors, I decided to try lime and cilantro. And I'm definitely glad I did! Plus, it's super easy - just mix the butter with all seasonings, slather it all over the corn, and you're ready for grilling (or baking)! How do you eat your corn? I'll admit - I still use the "typewriter" method sometimes! Combine butter and all seasonings, mixing until homogeneous. Peel back husks, but do not remove. Cover corn with about a half tablespoon of butter mixture. Pull husks back around corn. 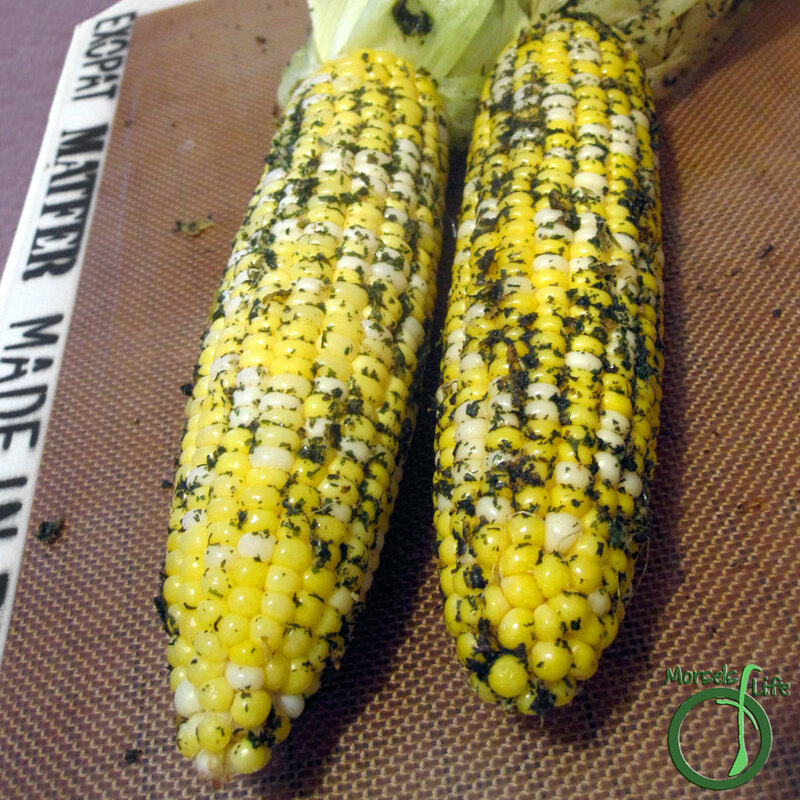 Grill or bake corn at 400F for 15 minutes or done.